*Named Outstanding Science Trade Book for Children by the National Science Teachers Association and the Children’s Book Council. 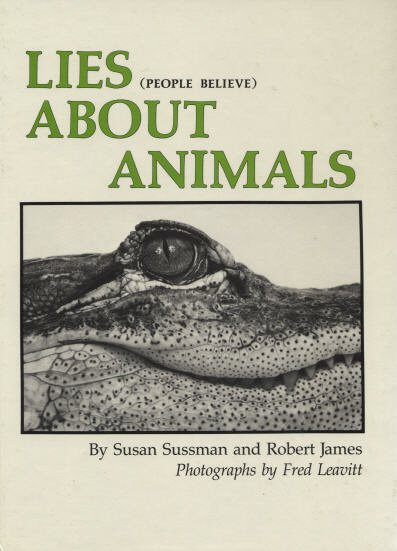 Sue Sussman, author of numerous children's books, teams up with noted zoologist Robert James and photographer Fred Leavitt to present a clear, concise book for fourth through sixth graders which includes lie/​truth statements about animals followed by intriguing, easy to understand facts. An essential book for the budding grade-school scientist.